Efforts by Krupp to prevent malnutrition of slave laborers? During World War II, did officials at Essen’s Krupp works try to prevent appalling malnutrition of it’s slave labor force? Why did they fail and who is to blame? On page 209 in the book titled, Pictures of Krupp: Photography and History in the Industrial Age, is a photograph containing what is believed to be a photograph of Engelbertha Krupp sitting next to her mother. 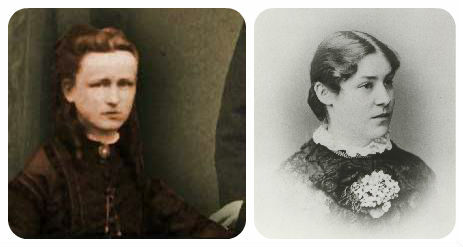 The Krupp Foundation maintains it is absolutely a photograph of Clara Bruch, wife of famous German composer Max Bruch. However, two photographs supplied to author David Stroebel from the Max Bruch Archive in Cologne, Germany, show they are not. It is Engelbertha Krupp. When this photograph of Engelbertha Krupp was shown to the Max Bruch Archive, they stated it was not a photograph of Clara Bruch. When it was shown to Dr. Christopher Fifield, English conductor and classical music historian and musicologist based in London and author of the book, Max Bruch: His Life and Works (http://www.amazon.com/Max-Bruch-His-Life-Works/dp/1843831368), he stated it was not a photograph of Clara Bruch. The credibility of this photograph stands by itself with no help from anyone. 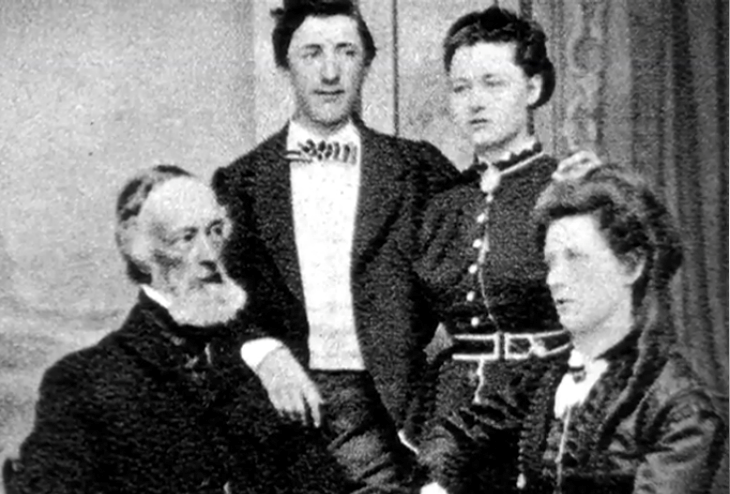 It is, in fact, one of two photographs that exist showing Engelbertha Krupp who was banished from the Krupp family by her very own father, who is believed to have gone to great lengths to destroy every photograph containing his daughter and who suceeded in having her church records destroyed in retaliation for her turning her back on the Krupp works she was to inherit after refusing to break off an engagement to John Joseph Stroebele, a shoemaker from Rosna, Baden-Wurttemberg, Germany. The story below appeared February 18, 2014, in Out Magazine. In his story, author Andrew Belonsky confuses the Krups coffee machine makers with the Krupp steel works. never did the Krupp dynasty partake in the manufacture of coffee makers or scales. Although both companies originated in the German state of North Rhine-Westphalia, they are totally seperate, different and unrelated families. Author Belonsky also states that Friedrich Krupp’s dream came true when his father, Alfred Krupp died and he got control of the Krupp firm. This is not entirely true. At one point in his life, Friedrich tried to get away from his father and the Krupp works by joining the Prussian Army Officer Corps. However, his ill health prevented him from doing so and the Prussian Army rejected him on that basis. Also, Friedrich was running the works in his father’s place well before his death in 1887 due to Alfred Krupp’s declining health. Friedrich was conducting face-to-face meetings with Krupp work executives, negotiating agreements and meeting and greeting heads of state in the years before his father’s death. Friedrich was, in fact, the head of the krupp works in the years preceeding his father’s death, not after it. Krupp Banishment Secrets in Sigmaringen? Try as I might, but I cannot get the local newspaper, SZ-Online.de, in Sigmaringen, Baden-Wurttemberg, to write a story about Engelbertha’s life there from 1875-1883. I feel that there may be secrets there about Engelbertha’s life in the form of photographs and revelations. They may be preserved by my living Stroebele ancestors in Sigmaringen, the city archive, or both. It is believed that John and Engelbertha lived in the same three-story apartment as John’s sister, Emma Kromer at 31 Leopold Street, nearest the Hohenzollern Castle. Emma’s two visits to Jersey City, New Jersey (USA) were documented by studio portraits taken there. John and Engelbertha kept two portraits of her. Emma must have the same number of portraits that she took back to Sigmaringen-possibly with revelations of Engelbertha’s banishment from the Krupp dynasty. 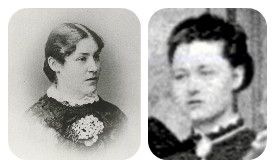 Emma and Eugene Kromer had three children- Eugene John, Emma Anna and Marie Emma. Unfortunately, city archive records show none of them had any children. But in 1960, when Eugene, the last of the three children died, he had to have passed his family photographs-and revelations-on to Kromer or Stroebele relatives in/around Sigmaringen. If these living ancestors are made aware of the story of Engelbertha Krupp, they may come forward with either the photographs, revelations-or both. SZ-Online, if you are reading this, please contact me to write a story for your newspaper and help uncover any secrets lying dormant in the City of Sigmaringen. 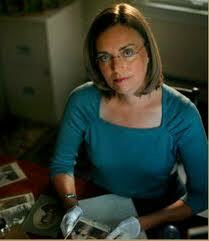 Just got off the phone with Maureen Taylor- named “Nation’s foremost historical photo detective,” by the Wall Street Journal. She shares my views of this second banishment photo of Engelbertha Krupp. I am using this opportunity to again appeal to the Alfried Krupp von Bohlen und Halbach Foundation in Essen to open their archive to researchers like me who want to know if additional photographs exists showing Engelbertha Krupp before her banishment in 1874.